One broker feels last week’s budget was a step in the right direction, though she hopes the path will lead to broader HELOC access through the monolines. One way the government is increasing competition among big banks and monolines, however, is broadening accessibility to CMHC insurance for smaller players. 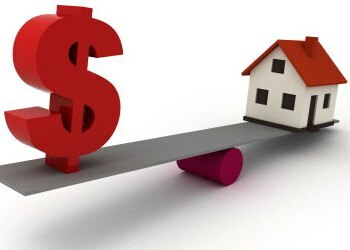 “The Government will improve the ability of smaller banks to access funding from Canada Mortgage and Housing Corporation (CMHC),” the federal budget, released Tuesday, states. “For example, CMHC’s new allocation methodologies have refocused portfolio insurance and securitization programs towards smaller lenders. However, the ability for monolines to provide competitive HELOCs has still not been addressed, according to Olson, who hopes the federal government will set its sights on increasing competition in this particular realm. And while she does admit certain HELOCs can be attained through monoline lenders, the offering isn’t nearly as competitive as those provided by the banks. Some Trust companies offer HELOCs via their B lending side. Rules to qualify are not that strict and for BFS, income can even be stated and contributory income can also be used to qualify. If someone needs fast cash, provided subject property has equity, this is the way to go! In order for the monolines to compete with banks and offer HELOCs, they would need CMHC to insure them since their funding mechanism is very different than a deposit-taking institution. Ain't gonna happen. Insuring HELOCs is probably at the very bottom of CMHC's to-do list.